It’s winter. Full blown. For those of us on Long Island, this past December was a bit of a tease, with it’s warmish days and mild temperatures. But walking outside the past few days, it’s pretty hard not to notice the intense windy cold that has settled in for January. The cold definitely affects me, but it also affects our kids. Because instantly they are more limited to what they can do and most of what they do is indoors. Which is why, Hangtime is such a great program for them and the other amazing kids that come each week. It’s the perfect way to beat the winter blues. Last Wednesday, after a long break, we were back on. We picked up a great group of kids from Eastport Elementary and Tuttle Avenue and greeted other friends that were dropped off for the 3:30pm-5:30pm program. They ate their snack and worked on their homework. And when workshop time rolled around, we were ready to go. 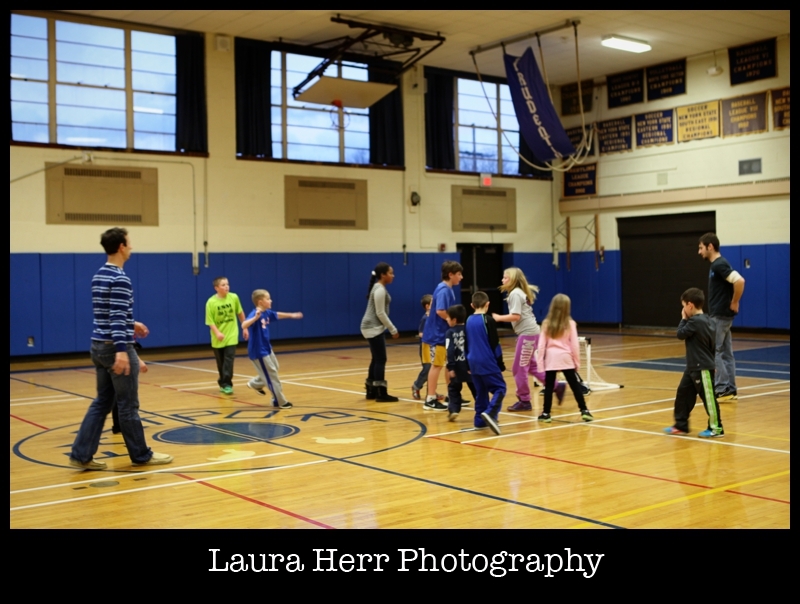 I have to say that I’m thrilled that we are able to use the Eastport Elementary gym for our sports and games workshop. I’m a huge fan of kids getting to play and run around, and having a huge space to do that in, is an incredible blessing. Kids don’t get enough chances to run around, especially in the winter and the group that met up last week had a blast. Elsewhere, in the church basement, Christian met up with a new Drama group. 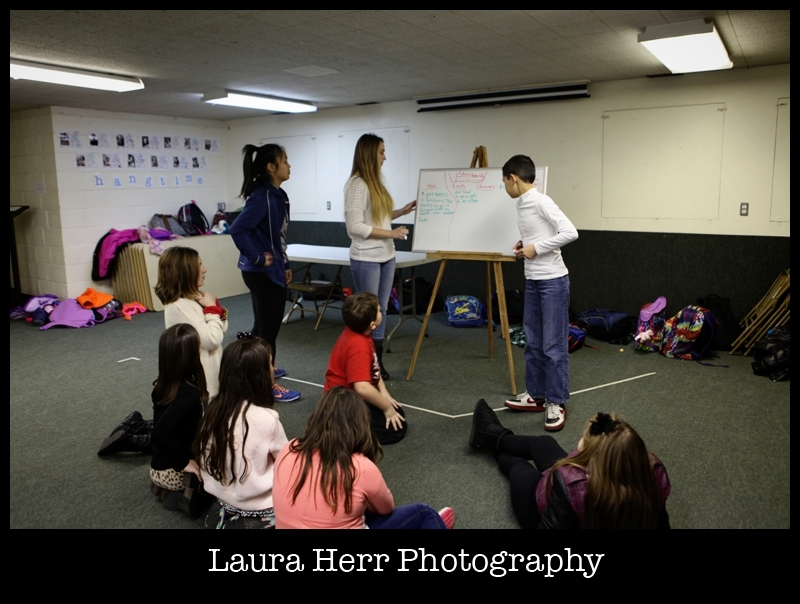 They played a few impromptu games and then drew up a story board for a movie that they want to make together. The creative juices were flowing and it was fun to see them work together. We also started a new knitting workshop last week. 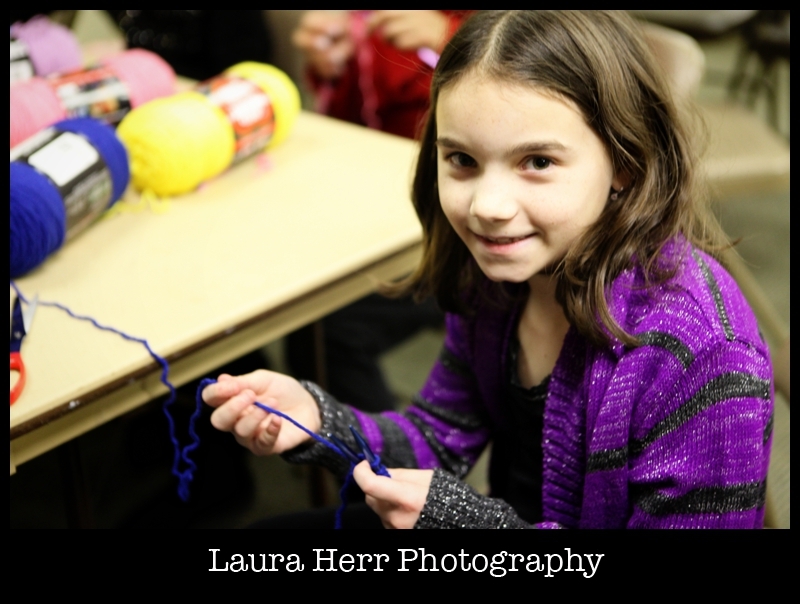 It was fun to see our talented leaders working to teach a small group of kids how to knit. 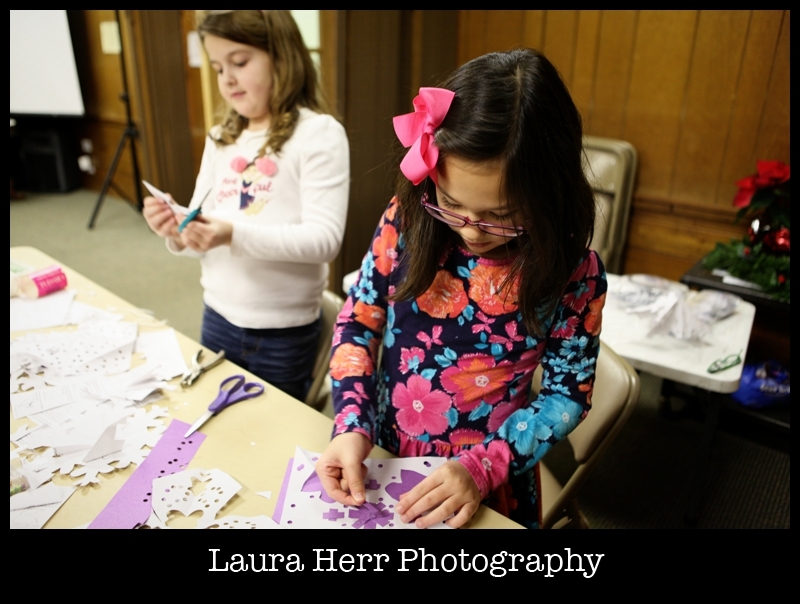 And right next door to them, others were happily making snowflakes for the crafts workshop. I have so many favorite things about our after school program. I love meeting up with the kids each week. I love seeing them get help with their homework from our dedicated team of leaders. I love teaching them a Bible lesson each week and reminding them how loved they are. 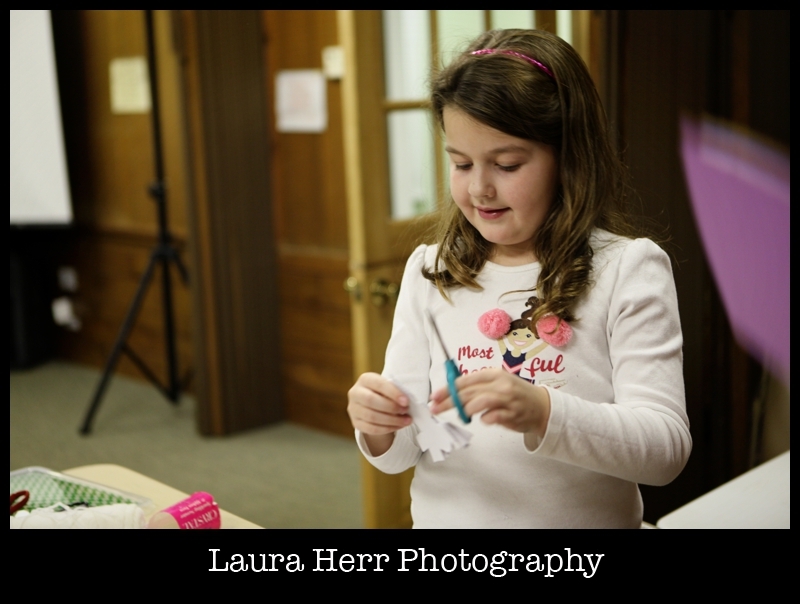 And I love seeing them try new things at the variety of workshops that we offer. I love it so much that I work to share it each week. Again, Hangtime is a wonderful and free after school program, for kids Kindergarten through Sixth Grade. We offer after school pick up at Eastport and Tuttle and have a wonderful team of leaders who will help, love and encourage your child each week. If you are local or if you know of someone who might enjoy this program, please feel free to share it with them. Contact me through Facebook or lauraherr8@gmail.com if you have any questions at all. We would love to have your child join us! my daughter goes to south street. Do u have other kids from south street? Can we just go the weeks that work for us, but not every weekend? Hi Vicki! Your daughter is more than welcome to join us anytime it works 🙂 We do have students that come from South Street and other schools as well. We meet up every Wednesday. Let me know if you have any other questions! Thanks so much!